Being Indian, I’m always intrigued when I see a new Ayurvedic green beauty brand on the market. India has always had a huge natural skincare market, and while some of them contain traditional Ayurvedic ingredients, most of them have dubious ingredient lists. Their ingredient lists for most Indian Ayurvedic skin products contain a plethora of unusual herbs followed by vague statements like ‘in a cream base’ or ‘gel base.’ Often, these cream and gel bases are made of cheap petroleum derivatives that, in my opinion, undo the benefits of their Ayurvedic ingredients. Also, for supposedly natural products, they tend to smell synthetic like something you’d buy from The Body Shop or Lush (which makes you wonder how natural they actually are). In addition to these, the textures are often not fun or pleasant to use (thick creams, heavy oils… the list goes on). In most cases, they are just herbal extracts suspended in a generic ‘cream’ base with some added synthetic fragrance to appeal to a mass audience. Living in Australia, I’ve come across many Western Ayurveda-inspired skincare lines, but to me they always felt a little too removed from the actual thing. It reminds me of ‘Indian’ curries that my friend Matt makes. He would use authentic ingredients like turmeric and garam masala, and then add something totally un-Indian (is that a word?) like zucchini or broccoli (totally unheard of in India) that would change the flavour profile of the entire dish. Also, Indians are big on tempering the spices and following certain traditional techniques when it comes to cooking spices (to make them easily digestible), and not following the correct method can often can have a detrimental effect on your body’s ability to digest it properly. The reason I’ve gone on this long winded intro is to illustrate the fact that it’s always been hard to find ‘clean’ Ayurvedic skin brands made using traditional techniques. The only Ayurvedic brands I’ve kind of liked have been Pratima and Forest Essentials. 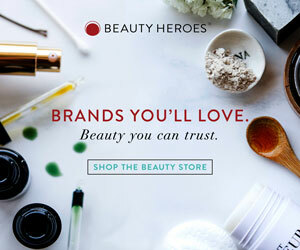 While they did feel authentic, I wasn’t really blown away by the textures of their products (there were exceptions, but overall, they just weren’t on the same level as other modern green beauty brands). Luckily, I stumbled upon three Ayurvedic brands a few months ago that were clean, authentic and luxurious, and I’ll do a brief overview of those brands in this post. 2017 was an amazing year for green beauty. Green brands became more popular than ever, and it stopped being a niche segment of the beauty industry. Mainstream bloggers began promoting smaller indie brands alongside big names like Estee Lauder and L’Oreal. Big department stores like Neiman Marcus started recognising the potential of green brands and collaborated with indie brands to curate personalised selections. From a green beauty perspective, the biggest trend was a welcome shift away from face oils. 2016 was the year of face oils; and it was amazing to see green beauty brands expand their offerings in 2017 to include more hydrating products. In fact, I’d call 2017 the year of the hydrating serum because they were everywhere! Brands, beauty stores and influencers began waxing lyrical about the benefits of hydration (and how it differed from ‘moisture’), and it became one of the hottest beauty topics on Instagram! Below, I’ve selected my top picks of 2017. While some of them were released in 2017, a number of them were selected because I discovered these new-to-me products in 2017. Moss Skincare founder Celestyna Higgins is a person I’ve admired from afar. Although I don’t know her well, she is one of the most passionate and talented green beauty formulators I’ve ever encountered. I’m always intrigued by her creations, as she uses unusual ingredients in innovative ways.